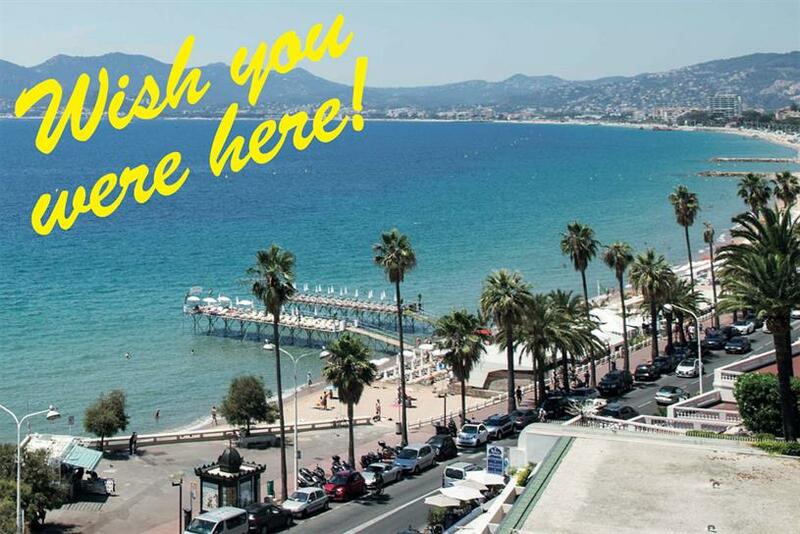 This year's Cannes Lions Festival will be different to any that preceded it - but then, it was always thus. While Publicis Groupe’s absence makes it notable, the friction between creativity and data is likely to be more profound than ever as agencies (and platforms and management consultancies) try to resolve the ‘master and servant’ relationship between the two. But let’s not forget that, at its heart, Cannes is about celebrating brilliant commercial creativity, which now manifests itself in an increasing number of forms, and the talent behind it. Campaign asked the bosses from the holding companies to defend the worth of creativity. The creative industry is at a seminal moment – both in coming to terms with its heritage and realising that it must evolve to remain a relevant and viable business. The business of creativity is becoming more focused than ever on a creative idea driving growth for a brand versus creativity for the sake of awards. Modern brands define creativity in new ways – still valuing the power of an emotional idea but bringing it to life via new channels and in more experiential ways that allow the consumer to "feel" the brand idea. By focusing on the customer experience and seeking new ways to tap into people’s passions in less intrusive and more impactful ways, the line between advertising, creativity and entertainment continues to blur. The explosion of data and media channels is an opportunity for creativity… if used wisely. We have hired engineers, mathematicians and data scientists who can empower our people with the best tools. But these tools and machines will never replace human intelligence. Data is creativity’s ally, not its substitute. By leveraging data in a meaningful way, we can bring brilliant creative ideas to the surface that would otherwise drown in an ocean of irrelevant content. The great creative work we see every year at Cannes is brilliant because it has creative genius behind it. This is why attracting and retaining the best talent is so crucial. It is a challenging time to be in the creative industry but it has never been more exciting. And for me, creativity can never be replaced as the key to effective advertising. Creativity is no longer just about advertising. It is about creating consumer experiences that unlock business value. As consumers demand better brand experiences, disruptive creativity becomes a strategic imperative. However rich the data and however addressable the consumer connection, unless the content is engaging, inspiring, relevant and coherent to the brand and product proposition, the value of the connection is lost. While this may seem obvious, ensuring quality creative input to the entire connected value chain requires a rigorous and integrated approach to the many disciplines in the marketing value chain. We are strong advocates of data-driven addressability and are investing heavily in the profound change from "marketing to audiences" to "marketing to people". However, the ability to connect with people on an individual basis must liberate creativity, not replace it, and has important consequences for our industry. First, the trend towards deprioritising craft as "tactics" will reverse. What people see, feel, touch and experience about a brand will determine success and in the digital era craft has a pivotal impact on that content and those experiences. Second, augmented, virtual and mixed realities, alongside the internet of things, will inexorably expand our creative canvas. Our capabilities must stretch to provide integrated services and solutions for our clients and therefore deliver more personal, engaging and immersive experiences to their customers. Creative work already accounts for 30% of our revenues. I expect that figure to grow but also expect the work to be judged by a new standard – not only the ability to make advertising more effective but also to imagine experiences that become key to the way brands create new business value. It might be a lower-key Cannes this year, with one group abstaining and new categories bedding down, but creativity itself is not on pause. Cannes, or rather the work on display there, remains the gold standard. While we may argue over what constitutes great work, we know it when we see it. It should invoke a feeling of jealousy that we didn’t do it. That, for me, is the essence of the festival: a competition, but one founded on a common sense of admiration for creativity and creative people. The nature of creativity has changed – and for the better. Winning work is as likely to be an app as an ad. This is unequivocally a good thing: creativity is a broad church, with room for everyone. Technological expertise and creative talent are not opposites, or mutually exclusive. Creativity has to be at the heart of what we do at WPP. Otherwise the global tech platforms – however valuable in terms of market capitalisation, however much utility they provide, however wide their reach – are dumb pipes. It’s what we do that inspires people. As we look forward to Cannes – and beyond – we want to make WPP the best home for talented, creative people, and I would like to invite them to join us for an exciting future. Creativity remains the lifeblood of our industry. The first step to ensuring its success is having the right talent in place – talent that truly reflects the marketplace. Time and again, research shows that diverse teams arrive at the most creative solutions for clients. That’s how we come up with market-moving ideas like "Fearless girl", the now-iconic work that McCann did for State Street. As our clients’ businesses become increasingly centred on digital experiences, our focus on business innovation is key. We continue to invest in new consultancy practice areas that allow us to work with a client from start to finish, helping them transform their business into a model rooted in technology. The connected consumer expects unified communications – to be informed and entertained with engaging content. This means we have to skilfully and effectively combine data with creativity and culture with science. Having a finger on the pulse of important social issues that matter to our clients, employees and consumers is a key component of creativity. In 2016, IPG adopted UN Sustainable Development Goal 6 – access to water and sanitation for all – at Cannes. Since then we have worked on several related campaigns, most recently "Watermarks for water" with FCB, which partnered Getty with charity: water, taking Getty’s iconic watermark and turning it into funds for clean water around the world. That’s what creative looks like today. Creativity is at the heart of what we are, and always will be. At Publicis Groupe, we believe that creativity lies in everything that we do, from narrative forms to experience. More than ever, creativity is essential for our clients, as they need to transform through big ideas in an increasingly disrupted world. But it is also crucial for us, as it is the ultimate proof of our value in this competitive environment. Creativity constantly evolves, and has to make use of the expansive data available and the ever-changing technology to come. On a personal note, creativity made me who I am; it is why I came into this business and I still believe that this is why our industry has a great future, and will attract the new generation of makers. At its heart, advertising has always been a people business. The great Bill Bernbach, co-founder of Doyle Dane Bernbach, once said (and it still holds true decades later): "An idea can turn to dust or magic, depending on the talent that rubs against it." As we see analytics and process on the rise in our industry, we have to ask ourselves: are we paying enough attention to our talent and the magic? With an unrelenting focus on reaching the right person, in the right context, on the right platform and at scale, I fear we are letting the pendulum swing too far toward the collective "left brain" of the advertising world. Yes, we are now targeting individuals with personalised messages at scale. In doing so, have we lost sight of the fact that data and technology should be in service to creativity and content and not the other way around? This is why at Omnicom, it’s always been equally important to have effective creative content that sparks brand fame and wins Grand Prix awards. It is thumb-stopping creativity that marketers acknowledge they can’t do themselves. Management consultants can’t build creativity, and it remains to be seen whether they can acquire it. As it is today, the final edge will be given to those who can deliver highly personalised messages at scale with inspiring, motivating and compelling content. Data and technology thrive at scale, creativity thrives in tribes. For that reason, I believe individual agencies, driven by strong individual cultures will continue to exist as incubators of creativity. This is why Omnicom is staying true to our roots of developing the best creative minds in our industry and respecting the individual cultures of our agencies. Every year, I dread going to Cannes, but always come away inspired by the dynamic, eclectic, interesting people in our agencies.